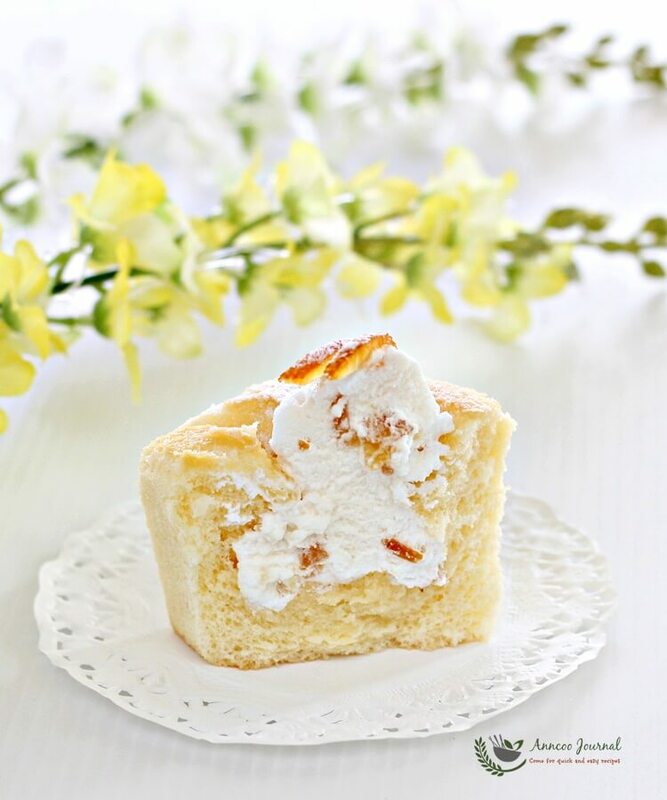 I’ve seen many bakers made this popular Hokkaido Chiffon Cupcakes around the blogospheres and on Facebook but I’ve yet to try it at least once. So happened that Fion asked me to join her Best Recipe for Everyone in December and the theme is My Little Cupcakes. I gladly agree to bake this Hokkaido Chiffon Cupcakes and as requested, I’m putting up the post today. This recipe was first shared by Sonia of Nasi Lemak Lover and have received many good reviews. 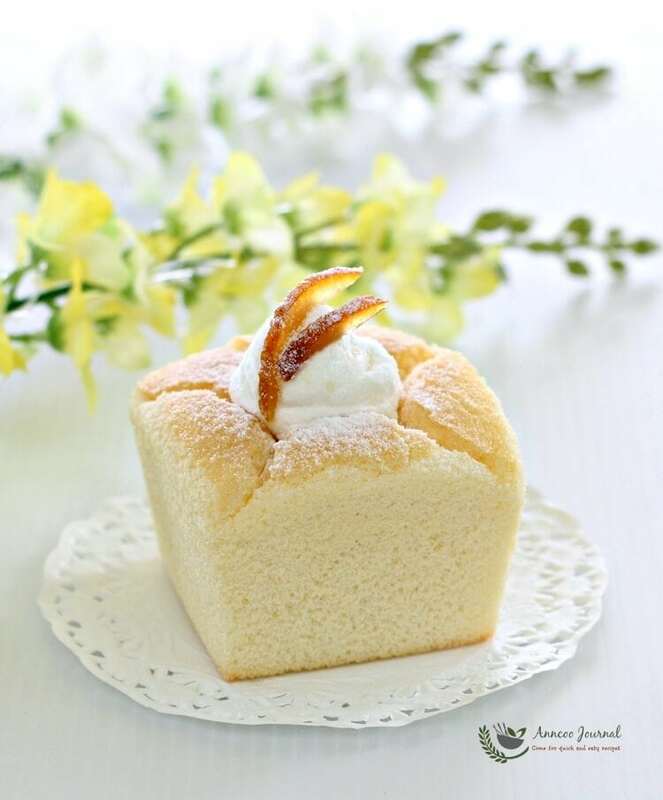 The method of making this soft and light Hokkaido Chiffon cupcake is exactly the same as an ordinary chiffon cake. Then you’ll have to pipe some custard cream into the center of the cake, chill it and then serve. I didn’t make the custard cream as I didn’t have anymore dairy whipping in my fridge. Instead I replaced it with non-dairy whipping cream and mixed in 2 tablespoons of yuzu jam. The end result was equally good. The cream had the citrusy of the yuzu jam and yuzu peels. Very refreshing indeed and as the cake was chilled, it was just absolutely yummy! Preheat oven to 170 deg C. Arrange 9 paper square cupcake liners on baking tray. Use hand whisk to whisk the egg yolks and sugar till pale in colour. Add in corn oil and milk, mix well. Scoop batter into paper liners to about ¾ full and bake for about 20-25 minutes at the middle rack of the oven. Leave cake to cool down completely before adding in the cream. Whisk non-dairy whipping cream to soft peak form and fold in 2 tbsp yuzu jam, fold with a rubber spatula. Spoon yuzu cream mixture into piping bag and pipe into the center of the cake. Dust with some icing sugar and decorate with some yuzu peels on top. My cupcakes always end up its sides shrinking away from the paper cup . Is there any reasons for the shrinking ? Hi Ayashi, My cupcakes also shrunk a little. To prevent too much shrinking, you can bang or knock the cupcakes on table top to release the hot air once they are out of the oven. you cupcakes look so pretty and yummy. I really like to try it out. Where you get the pretty cupcakes liner ? Hi Esther, The cupcake liners were bought from Taobao. Pretty cupcakes! Do you know the difference between hokkaido chiffon and normal chiffon other then one is in cupcake form and the other is baked in a chiffon pan? Wondering if i could use my usual chiffon recipe for this format! Hi Shan, From what I tried on this recipe, is really no different from the normal chiffon cake. Of course you can use this recipe in the chiffon tube pan. Thanks for your recipe. I checked the website conversion table. 1 tablespoon = 15 gram but yours is 25 gram = 2 tablespoon. 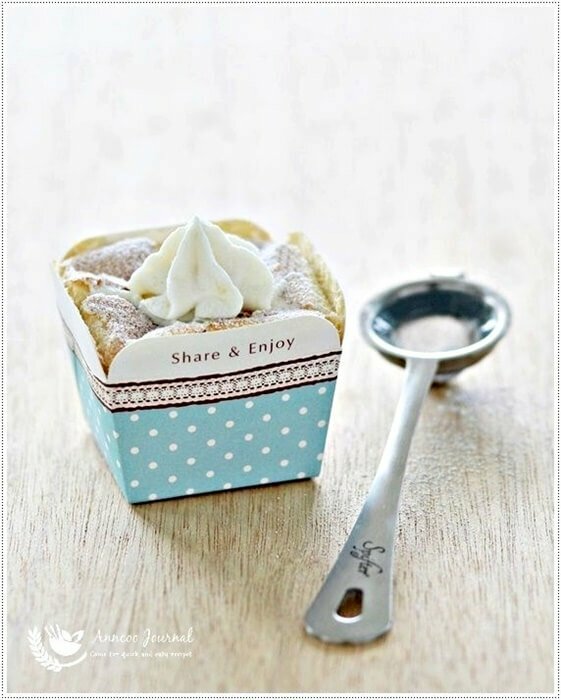 Do you use normal tablespoon or the baking measuring tablespoon? Hi, I used baking measuring tablespoon to measure the sugar and weighed it. My Friend catherine Wei Lun Oh sent me to your blog. Im so glad she did. I want to make these for parties! I will do a test batch to make sure I do them right. Thank you for easy instructions and showing the pictures! Hi Jewel, Thank you for leaving your comment :)) Please feedback to me after your trial bake. Hi, how many cupcakes will this recipe make? Makes 9 in this recipe. So cute and pretty, and I like the idea of using the Yuzu jam. Nice clicks, so cool! Yours are with Yuzu filling, I love it! It's is so much fun to bake the same type of cake together! aw dear These are absolutely beautiful!!! They are gorgeous, Ann. Love that yuzu jam! 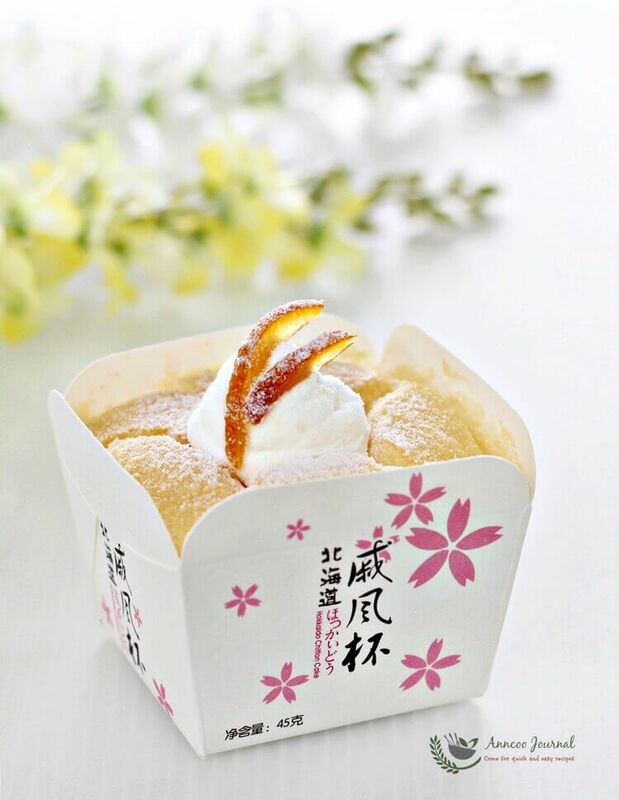 Hi Ann, your Hokkaido Chiffon Cupcake is so elegant looking … must be yummy-licious! Love yuzu and am sure it tastes lovely! Ann, I must bake some too! These chiffon cupcakes look stunning!